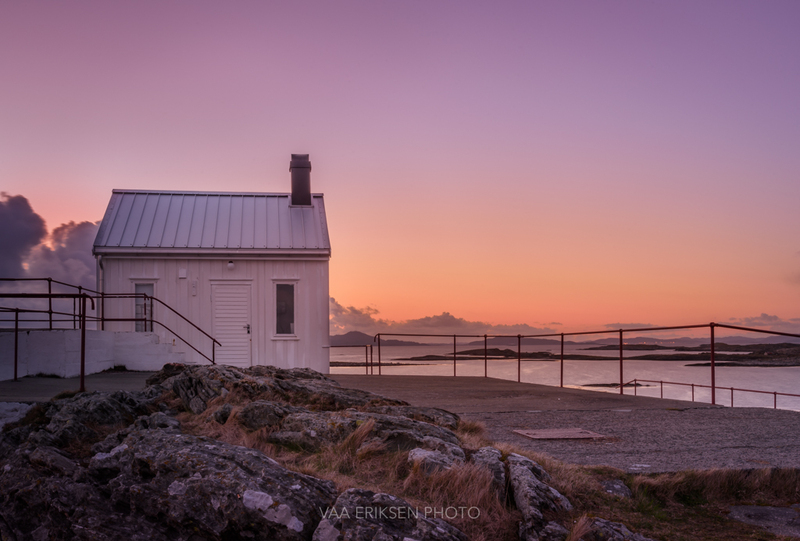 This entry was tagged Lighthouse, Nature, Norway, Photography, Rogaland. Bookmark the permalink. You always have very soft colors in your pictures Inger. Love each time to see your photos. A wonderful photograph once again! The light and the colours are stunning in this magnificent setting, Inger! Magical and ethereal. Imagine if this could be a writing place…so dreamy. That would be magical Annika! Writing in this little house must give so much inspiration. God, beautiful – reminds me of the coast here in early morning, with a little fog possibly rolling in. I really like the rough, natural texture of the rocks and grass in forefront juxtaposed with the straight, clean, human made planes of the building. What first drew my eye with this photo is how that fence line on the right interplays with the clouds and islands (are they islands?) on the horizon. Really cool! Thank you so much the the reflective comment Lara! The coast with a little fog rolling sounds beautiful. Yes, those are small islands in the back. What you cannot see in the photo is the big open see on the left side – the big North Sea. It sounds gorgeous – I hope you’ll keep taking pics of! I feel like I’m traveling somewhat in your area every time! Love the rugged beauty and how you frame and present it. Thank you, Inger =)! Thank you for the breath of relaxation this has given me. Marvelous, I really love your soft colors and the light. Underbara färger igen. Fantastisk stämning i bilden. I like it, but I won’t us it as a summer house. It seems to be a spare room for fishing and sailing. Thank you so much! This little house is just next to a small light house (check out my latest post to see if from a different angle) so I bet it was the keeper of the lighthouse who originally used it. Now the lighthouse is automated and this house is no longer used. Wow! Look at the serene view! Peaceful indeed. Beautiful light and muted colours. Gorgeous shot. what time of day was it taken? Cheers. Thank you so much Dan! This was taken just after sunset, probably around 9-10pm if I remember correctly. Wow – what a glorious shot! Peace and beauty. Thank you for sharing. Wow! Beautiful color and light!